An oil control shampoo that helps increase the time between washes by reducing excess sebum production for hair that is smooth and shiny—never greasy. * Satisfaction test - 32 people - after 15 days of use. Dermatologically tested. 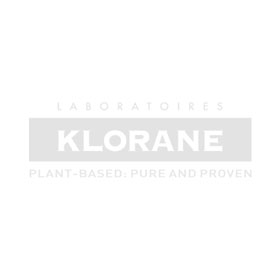 KLORANE BEAUTY TIP : Alternating every other day with the Shampoo with Nettle and Dry shampoo with Nettle will reduce the appearance of an oily scalp, increase the time between washes and keep hair cleaner, longer. Those who find their hair limp, prone to oiliness and/or have to shampoo hair often to keep it clean and bouncy. For centuries Nettle has been used for its purifying, restorative, astringents and sebo-regulating properties. It is rich in scopoletine, a compound found in the roots that reduces excess oil.